What's the Price for the 2019 Volkswagen Jetta? How Many MPG Does the 2019 Volkswagen Jetta Get? What's New for the 2019 Volkswagen Jetta? 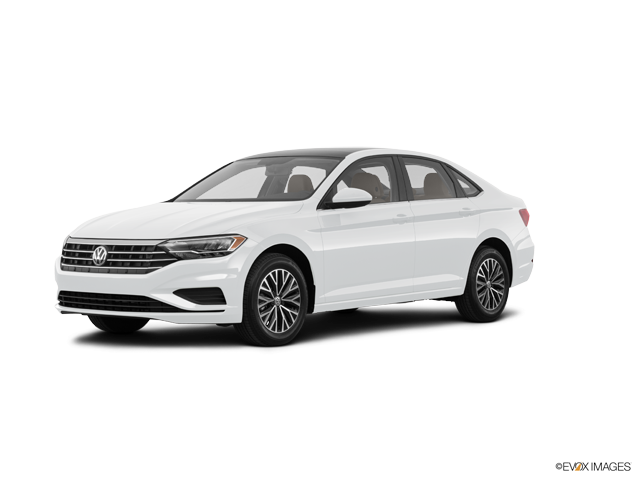 The new 2019 Volkswagen Jetta is the newest brand of Volkswagen to be introduced and their latest in the Jetta model series. The Volkswagen Jetta is a new four-door sedan and part of the seventh generation of Jetta vehicles. Newer features for this year include being a fully redesigned vehicle, with more technology available and a new SEL premium trim level. Performance-wise, the Jetta can handle creating a modest 147 horsepower rating while riding up to 5,000 wheel rotations per minute and generating up to 184 pounds by feet of torque. The fuel economy provides the vehicle with more endurance for driving, getting a combined 34 miles per gallon, with 30 MPGs when on the main roads and 40 MPGs when on the highway and requires regular unleaded fuel to run. As with all new vehicles, the Volkswagen Jetta has with it a number of interior features and safety precautions to ensure that it functions as a smooth and enjoyable ride for all. Being a fairly typical four-door sedan, the Jetta can seat up to five people and provides them all the comfort of extra leg and arm space, with the front seats having height adjustable settings and multi-level heating. The car does have several optional features that can be added to it, such as rubber and carpeted mats for the inside, as well as new wheel locks for the exterior. The entertainment system comes with the standard radio access, but also can include three months of provided satellite radio service, a USB connection with stereo, a subwoofer and four audio speakers, though some may include nine. Cruise control is a standard driving feature here, with both the cruise and audio controls fixed onto the steering wheel. A rear view camera is also included for extra awareness and safety when parking and backing out. Speaking of safety, the Jetta includes many features, such as rear door safety locks and seat anchors for the younger passengers. Daytime running lights are included, as well as an LED headlamp. The headlamp has an auto-delay off feature along with dusk sensing capabilities that adjust to the time of day without needing to be regulated. A post-collision safety system is available to keep drivers alert after an accident has taken place and some trims have a pre-collision system to compliment this and warn drivers of any potential accidents. The 2019 Volkswagen Jetta is currently up for sale at any local Volkswagen dealership. Any driver who wants to learn more information can head to their nearest branch dealer and ask to take one for a test drive. No matter what brand it is, customer satisfaction is always the top priority for any dealership. * Starting MSRP of $18,545 for a 2019 Volkswagen Jetta S 1.4L TSI® with 6-speed manual transmission. Model shown is a 2019 Volkswagen Jetta SE with a starting MSRP of $22,155. Prices exclude transportation, taxes, title, other options, and dealer charges. Dealer sets actual price. ** 30 city/40 highway mpg (2019 Jetta 1.4L, 6-speed manual transmission). EPA estimates. Your mileage will vary and depends on several factors, including your driving habits and vehicle condition.